As time passes and we watch our children grow ever so fast we often reflect back and wonder if we have done things perfectly in raising them. Well we will tell you being an imperfect parent makes us perfectly normal. Over the last few months we have really started to struggle with how to raise our children. We are not saying we don’t know what to do but we are merely just stating as we grow older we grow wiser and realize our parenting styles change. We see our children’s unconditional love and sometimes we see their complete defiance to authority. We have come to realize that we can’t raise one child the same as we do another child. All children are unique in their own way and this forces us to change parenting strategies for each child. We can have a basic platform for discipline and teaching but each child is going to learn in their own ways. We have one child that will touch a hot stove after you tell him not to just to experience the consequence. We have one child that will usually listen the first time we tell him something but sometimes gets to a point that he will shut down and not do anything we tell him. We have yet another child that no matter what we say he has his own way of doing things that most of the time coincide with what we have taught yet he goes about it a different way making a few mistakes along the way but eventually getting to the same end result we taught. This brings us to why we wrote this article. We were just doing some studying today and came across this verse in Proverbs about training a child (Proverbs 22:6). We had our eyes opened by HIM today. It is a very popular verse that is known by many and we have read this verse 100’s of times never really bothering to look at the underlying meaning behind it. Let’s examine what we thought before this finding. This (Proverbs 22:6) has often been taught that we, as parents and teachers, must train a child in Yahweh’s way so when they leave the house they won’t stray from HIS plan. We have always believed it meant that if we set them on the correct path they will never turn their backs from Yahweh. We have always believed that we must instill Yahweh’s way into them the exact same way every time. Well, a deeper look into the Hebrew word meanings gives us a much different view of this verse. We have to actually look at the Hebrew words used in this verse to truly understand what Yahweh was conveying to King Solomon. We found that the (Proverbs 22:6) really means this. In English, it says this” Train (start) a child according to his (Child’s) way. There is a difference between the training of a child according to the child’s way and training him according to a way chosen by us as the parents. If we train a child in the ways that the child knows they will learn better. All children have their own unique Elohim given talents. They are unique in how they learn. Look at it this way, Yahweh allows us to find HIM in the way we can understand. While he expects us to follow HIS precepts and commands HE opens our eyes and ears to them at our pace. 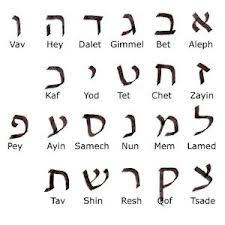 By studying the Hebrew we are provided with additional insight into the Hebrew educational process. If you look at today’s progressive schools they allow the child to learn in the way the child is most capable of doing. This doesn’t mean we as parents can’t have a structured plan and guide them toward the way of Yeshua. It just means we have to allow them to learn the way their minds allows them to learn. In life, there are many paths that you can take to get you to the same end. 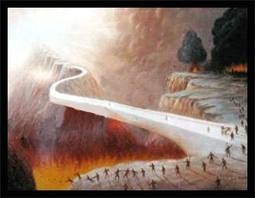 Remember, we are told the path is wide but the gate is narrow (Matthew 7:13). We have to teach our children to take the correct path. That path will guide them to be in the world not of the world (John 17:14). You are probably as amazed as we were when we first learned this. Here we are, moving along through life’s journey and trying to teach our children HIS way. We need to teach our children HIS way but in a way that will allow the child to better understand it. We are commanded, right here in Proverbs, to train up a child in the way the child wants to be trained. 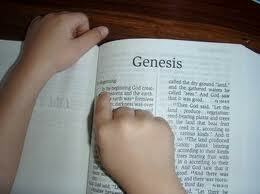 The Hebrew has a emphasis on his way meaning the child’s way. There isn’t a set way that works for every child. Every child is different and must be taught in their way. Think about this the next time you sit down with a child and try to teach them about the Gospel of Yeshua. Always keep in mind that Yahweh and Yeshua want us to teach our children HIS Gospel in such a way that the child can learn it, not necessarily some predetermined set way we have developed. Our children are precious to us and to this world. The more of them we put on the path with our Elohim the better the world will become.